"As well as providing me with the essential legal qualifications that I needed I was able to take part in plenty of key skill-building societies such as debating and negotiating." 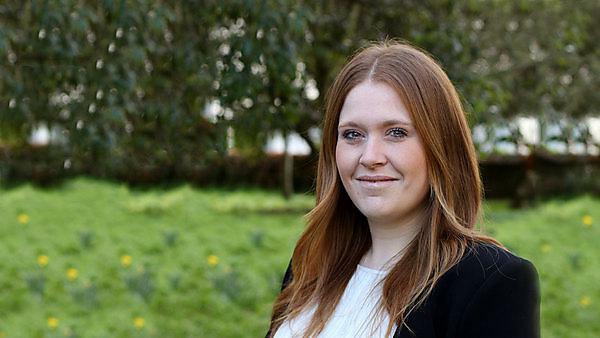 On completing my studies at the University of Plymouth I undertook my training contract with a local firm before joining Nash & Co Solicitors upon qualification as a Solicitor in February 2016. I now practise in the Private Client team in the areas of Wills, Lasting Powers of Attorney, Estate and Trust Administration. While training I was able to organise and host a monthly marketing and networking event. Outside of work I am Vice-Chairman of the Modbury and District Business Chamber which has allowed me to take part in lots of networking events and connect with other members of the business community. I took electives in the areas of private client, family law and employment law while studying the LPC. I was fortunate to be able to work in the area of private client after completing my studies to continue to grow my knowledge in this area. Assisting people who are going through difficult times can mean that emotions can run high and is something that experience can help you to develop the skills to deal with sensitively. One of the best aspects of the job is providing a good service and having happy clients who provide positive feedback or thank you personally for your assistance. Diverse events like going to a falconry display, spending the day applying glitter tattoos to members of the public at a local agricultural show and taking part in the Plymouth 10k run have all been great fun. I think it is always slightly nerve wracking after completing a long period of study to know what the future will hold, whether you’ll get a training contract or manage to get your dream job in the location that you desire. If I could give myself some advice six years ago it would be not to worry as your path has a way of working out for the best! Definitely undertake as much work experience as possible! I spent time with law firms, the local council, on a mini-pupillage, with the citizens advice bureau and in media departments to get a sense of not only what I would like to do but what is possible in terms of career options. Even if you’re only offered a few days experience, take it, show you’re keen and fill your CV with interesting experiences; you may not have the time once you start working full time. As well as providing me with the essential legal qualifications that I needed I was able to take part in plenty of key skill-building societies such as debating and negotiating. This really helped me to develop my abilities in these areas as well as meeting like-minded people. Winning the Law Society Debating Competition in 2012! Yes, the intensity of the courses encourage close friendships and I keep in contact with friends who I studied with despite many being located in different areas of the country. I also keep in contact with some of my lecturers who have been able to offer assistance to me in providing references and for advice generally since completing my studies. The courses are taught in a supportive and hands-on manner which is essential for the type of courses that I was undertaking. I think the facilities and opportunities available through studying at the University of Plymouth are very appealing, while also located in a stunning waterside location. Aim high for your future careers. It can seem like it is challenging particularly when studying is intense and you are juggling this with applying for jobs and undertaking work experience but it will all be worth it when you have achieved your aims. For more information about studying law please visit our GradDip Law course page. For more information about our range of courses within the School of Law, Criminology and Government please visit the school page.